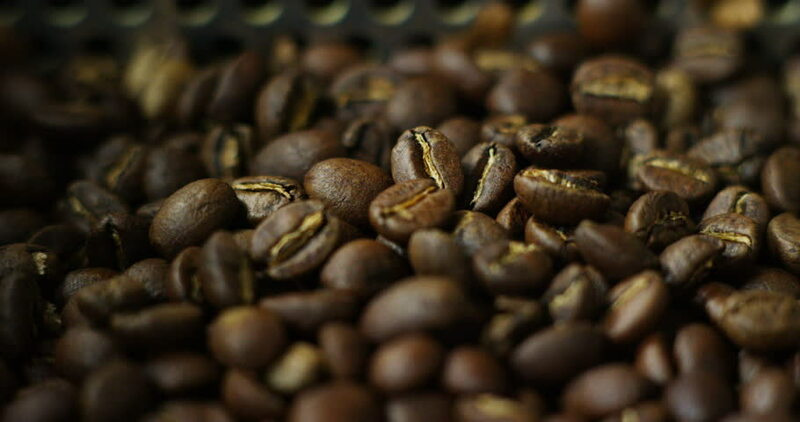 the raw coffee beans in the professional roasting, grilling at the right temperature in slow motion. concept of perfect coffee, Italian and Ethiopian roasting, nature and food. hd00:08Roasted coffee beans close up. hd00:16Roasted coffee beans falling down. Slow motion. Close-up shot.